You might have heard or read about Intermittent Fasting (IF) recently. It’s all the rage and has become a hot topic among fitness writers, coaches and advocates of unconventional diets. But is it really the best fat loss option for those looking to burn body fat while maintaining lean muscle mass. Of course fasting will result in fat loss, but it can also result in a loss of hard earn muscle and blunting of protein synthesis stimulation from training. If your goal is to have low body fat levels with maximum muscularity then I do not recommend intermittent fasting as a way to achieve this goal. You won’t find any Mr Olympia champion using IF to get into stage competition shape. Why aren’t professional bodybuilders using this miracle diet fad to win competitions? Simple, because it’s not an optimal solution. Bear in mind, the ultimate goal for a pro bodybuilder is to burn as much body fat as possible while maintain, and even gaining muscle. If intermittent fasting was the best solution out there to achieve this goal then every bodybuilder in the world would be all over it… but they’re not. “Proponents of IF like to think of it as the ‘science diet’ but the complete opposite is true. Intermittent fasting is the fad diet. There’s no logic to it, unless your goal is to lose muscle, slow down your metabolism, and have poor workouts. My most difficult clients are people that have crashed and burned on intermittent fasting. Here’s how it always plays out: I get a guy that was 20-30% body fat. He does IF and he loses some fat and muscle. Then he gets stuck at 15-18% body fat, so he takes his calories down. Now he’s stuck at 1800-2000 calories, nothing is happening, and he’s miserable. Then he comes to me for help. Irregular eating can result in fatigue, difficulty concentrating and disruption in the human organism’s physiological equilibrium, via its negative effects on hormones. Furthermore, I.F. causes a shortage of amino acids – the “building blocks” of muscle protein – necessary for the maintenance and growth of muscle tissue. Without adequate amino acid intake, a catabolic effect (the breakdown of muscle) can occur. As one study showed, even eating meals a mere 12 hours apart can result in short-term muscle loss, with young men at twice daily. The study subjects exhibited significantly higher oxidation of their own muscle tissue than the group which ate 5 times daily. When engaged in weight training, your body requires regular feeding, both as fuel, and after, during the recovery period. Failing to do so will dramatically hamper muscle protein synthesis and slow down your recovery time. Science shows that muscle protein synthesis levels are elevated for around 24 hours after training. To gain the most amount of muscle you want to consume regular doses of protein (20 – 40 grams in each meal) over the 24 hours post exercise period. To fast during this stage of elevated protein synthesis would mean a minimal increase is muscle gain. 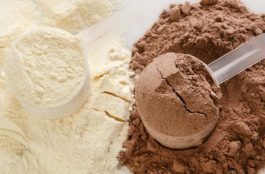 It’s physiologically impossible to build muscle without protein. Starving yourself of protein in order to lose some fat does not sound like a sensible option to me. A study of elite judo athletes demonstrated that daytime I.F. resulted in a considerable increase in fatigue, a small loss in energy output and a nearly 2 percent loss in body mass, of which slightly more than 0.5 kg was body fat. Despite this decrease in body fat, I.F. is not the most ideal way to alter one’s body composition – not only can it result in fatigue and a decrease in output, both of which would hamper the ability to engage in weight training, but an extended abstinence from eating causes catecholamine – hormones produced by the adrenal glands – to rise. If this hormonal activity is sustained, it can fatigue and eventually halt the function of the adrenals, the result of which are a damaged metabolism, chronic fatigue and reduced central nervous system activity. You may have read from the proponents of I.F. that the practice improves insulin sensitivity (the relationship between how much insulin needs to be produced in order to deposit a certain amount of glucose). However, this hoopla was discredited by a PLOS One study showing that eating only intermittently caused greater dips and peaks of insulin and glucose, which could help set the stage for insulin resistance over the long run. Instead of attempting to regulate insulin and glucose surges by restricting food consumption, consider reducing an excess of high-GI (glycemic index) carbohydrates, particularly those eaten in the absence of other macronutrients which help reduce the effective GI score of the entire meal. I.F., as we know, can wreak eventual havoc on the adrenal glands, which produce various hormones. The body’s system of hormonal manufacture and release is interconnected – if one part becomes imbalanced, it can affect the rest in tandem, resulting in the aforementioned fatigue, metabolism and sleep-related problems, as well as an increased susceptibility to disease and inflammation. Is Intermittent Fasting Worth Trying? If your body fat levels are very high and your main goal is fat loss but you’re not worried about maintaining/gaining muscle then I say go for it, give it a try. Many people have experienced amazing fat loss results with IF, but if you’re already quite lean, holding a fair amount of muscle and want to keep it while dropping fat then I think there are better alternatives to IF.